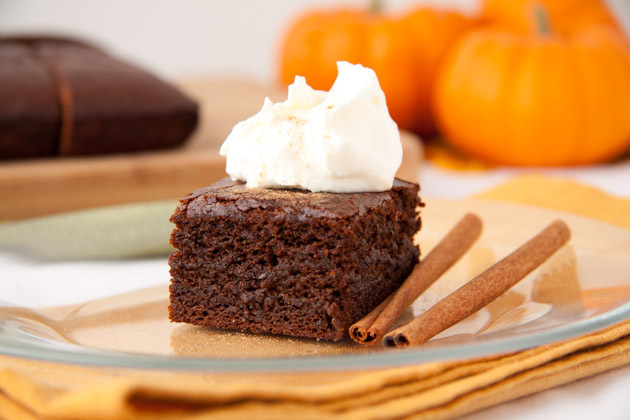 These gluten-free, sugar-reduced gingerbread inspired brownies are the perfect fall dessert. 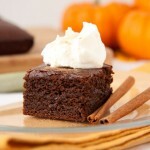 Best enjoyed with a tall mug of tea and a dollop of coconut whipped cream & a sprinkle of cinnamon. Preheat oven to 350F. Line a 8×8 square pan with parchment paper so that it’s draping off both sides. Set aside. In a large bowl, combine all wet ingredients. Drop dry ingredients into wet and stir until just combined. The mix should be runny. Pour into prepared pan and bake in prepared oven for 40-45 minutes, or until a toothpick inserted comes out clean. Ours were perfect at the 43 minute mark. Allow to cool for 5-10 minutes before removing from the pan and placing it on a wire rack to cool. I’m sure other starches would work in place of the tapioca starch. Like arrowroot or potato, although I have not tried it. Other light tasting oils would work as a replacement to the grapeseed oil.